What does the Internet of Things have in store for us? Everything is connected with everything – a phrase that is gaining new meaning in terms of digital networking. Machines, for example in industrial production, communicate with each other and exchange data. They regulate and maintain themselves. This ensures an optimized value chain. But where does the human being fit into this system? The Internet of Things or “The Fourth Industrial Revolution”, in short Industry 4.0, is keeping many organizations busy – from hospitals to transport companies to global automotive groups. Some are driven by the fear of being left behind. More decisive, however, are the many possibilities offered by Industry 4.0, which will only arise as a result of people continuing to steer industry. Industry 4.0 is not a dream of the future but is already a reality today. Numerous projects show what the new dimension of networking means and what impact it has on our working environment. The use of technology makes our work easier and more efficient. Source: Yokogawa GmbH. Mechanics, electronics, IT – The Internet of Things, or Industry 4.0, is based on developments dating back almost 250 years. The pace of change is increasing. But what exactly is Industry 4.0? There is no one correct answer to this question, but here is an attempt at explanation. The term describes the networking of machines and the intelligent results this produces. For example, the integration of production with modern information and communication technology creates the opportunity to manufacture products according to individual customer requirements – at a similar cost to mass production. Industry 4.0 can have a different focus for each company. Industry 4.0 is therefore the merger of production with the digital world. Machines, plants, products, logistics and people are networked, communicate and act together. This enables entire value chains to be optimized. Although most companies are usually aware of the benefits of self-organizing production, they are often reluctant to innovate. The urge to start large projects directly or to change the entire production process usually slows down more than it drives. Long planning phases, unrealistic goals and stagnation are the consequences. Experts recommend keeping goals realistic when starting to implement Industry 4.0. Begin with a small project and gradually expand. As a result, costs remain manageable and the first successes are quick to appear. A first project within the company could be, for example, the networking of room air monitoring. Devices continuously monitor air quality and transmit the values to a central computer. This evaluates them and controls the filtration system based on the results and the needs of room users. This all happens quickly, reliably and efficiently, because the system runs only as long and as intensively as necessary, thanks to the continuous measurement and evaluation. Just as cleverly, filtration can be controlled to achieve the best painting results in paint booths and workshops. The networking of the pre-filter stage, ceiling and floor filtration means that excellent painting work can be achieved with less effort. The pre-filter stage separates the bulk of the dust. The ceiling filters are only activated once the air readings from the pre-filter area require it. The paint mist separators of the floor filtration system start at the command of the ceiling filters. They filter the exhaust air that leaves the paint booth when the process requires it. At other times, they remain in the energy-saving sleep mode. Another unusual example is 3D printing in the nanometer range by Tetra in Thuringia, Germany. The nano-3D printer accurately and quickly creates centimeter-sized structures with resolutions below 1 μm. The shape of the nanostructures comes from a computer in real time and the manufacturing process can be tracked simultaneously via a camera. The printer is used in biomedicine and micro-sensors, for example. Arburg specializes in individualized plastic series products, combining injection molding and additive manufacturing. With the help of self-developed master computer technology, the company achieves a consistently networked process chain for the production of individualized light switch rockers. From large-volume products to individual plastic parts – an example that is no longer uncommon in Industry 4.0. On the way to further digitization and automation, each company must set its own pace and goals. As part of the strengths, weaknesses and core competencies of the company and in addition to the IT infrastructure, the organization and qualification of the employees are especially relevant. Industry 4.0 can make life easier for employees with the help of robots, for example. “The robot can assist humans in performing monotonous, ergonomically uncomfortable tasks, while the human devotes him- or herself to higher-level tasks”, KUKA boss Till Reuter told the Handelsblatt. 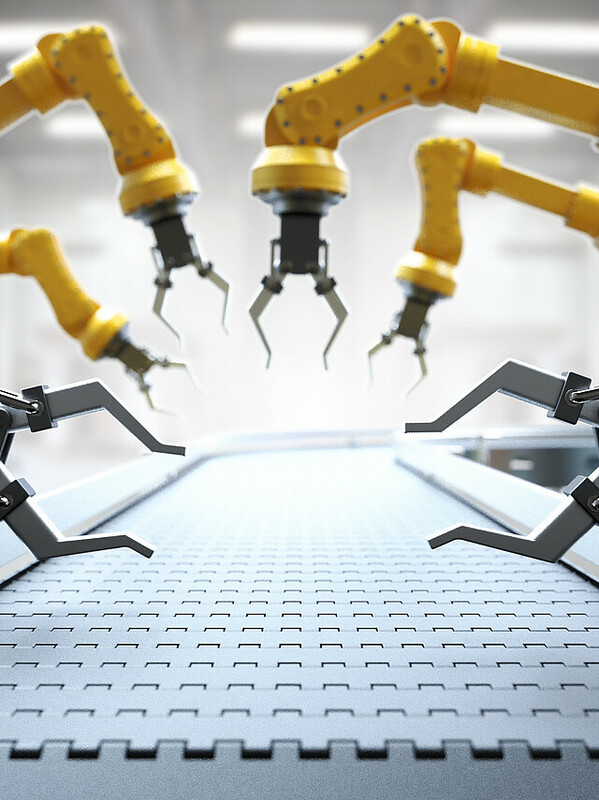 KUKA AG is one of the world’s leading providers of robotics and a pioneering company in Industry 4.0. Humans are going to have to work smarter, acting as problem solvers, decision-makers and innovators. Because in unplanned, spontaneous situations, our cognitive abilities mean that we are still superior to robots. 1 Building blocks of Industry 4.0: What do IIoT, IoT and Industry 4.0 mean? 2 Industry 4.0 will revolutionize industrial production. 3 Networked room air monitoring to Industry 4.0 standards, in Welding and Testing Technology, 07/08-2017. 4 Best painting results in paint booths and workshops. 5 Industry 4.0 platform of the BMWi. 6 Industrie 4.0, Revolution at the Hanover Trade Fair, in Handelsblatt, 13.04.2015.